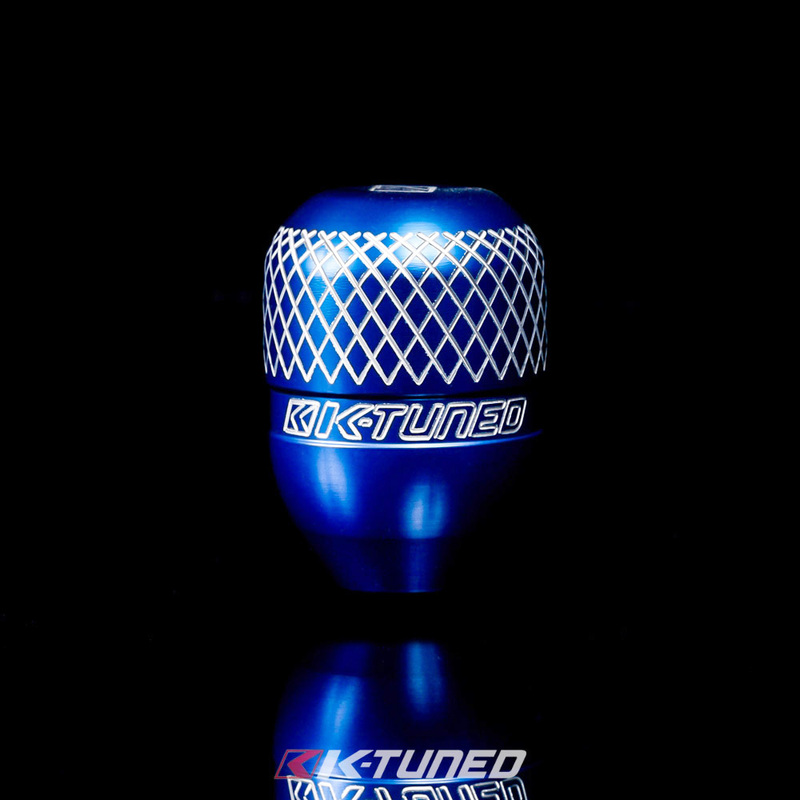 The K-Tuned Billet Shift Knob is the result of quite a bit of customer and racer feedback. 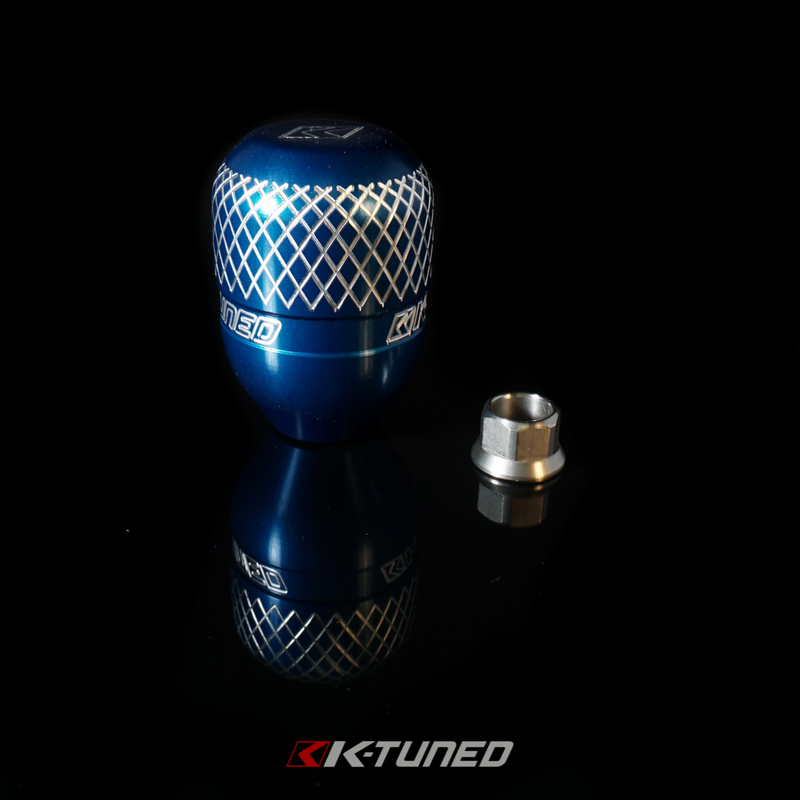 We already offer several K-Series shifter upgrades so it was definitely time for us to develop a clean and functional shift knob. The process begins with a solid billet bar of 6061 aluminum, and each knob is machined to final size on a CNC lathe. 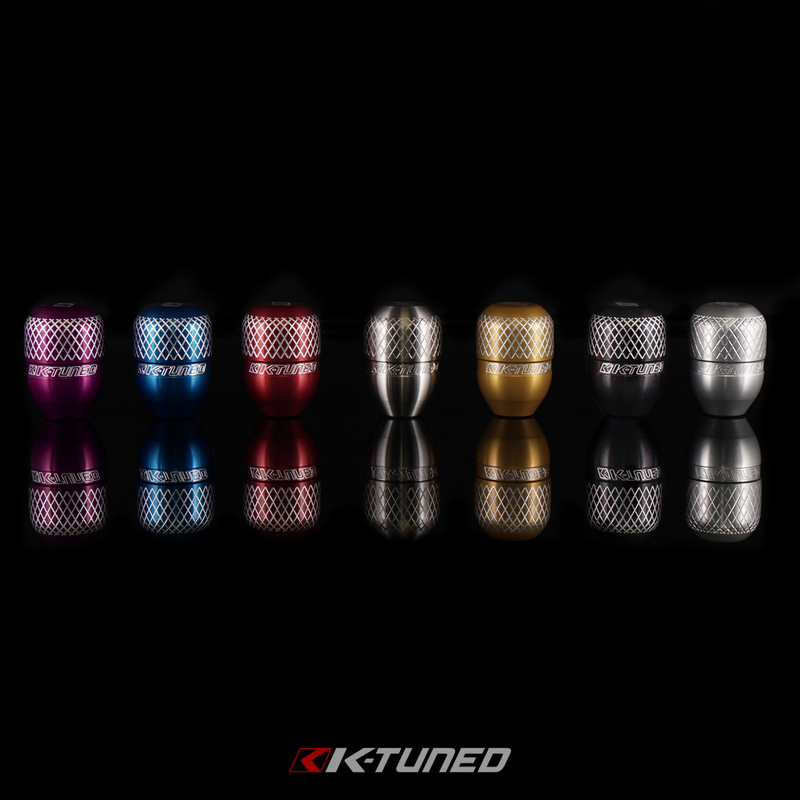 After the lathe, the blank knobs are sent out for the anodizing process. 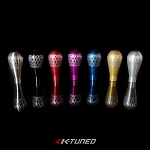 The black is hard anodized and the colors are regular anodized. 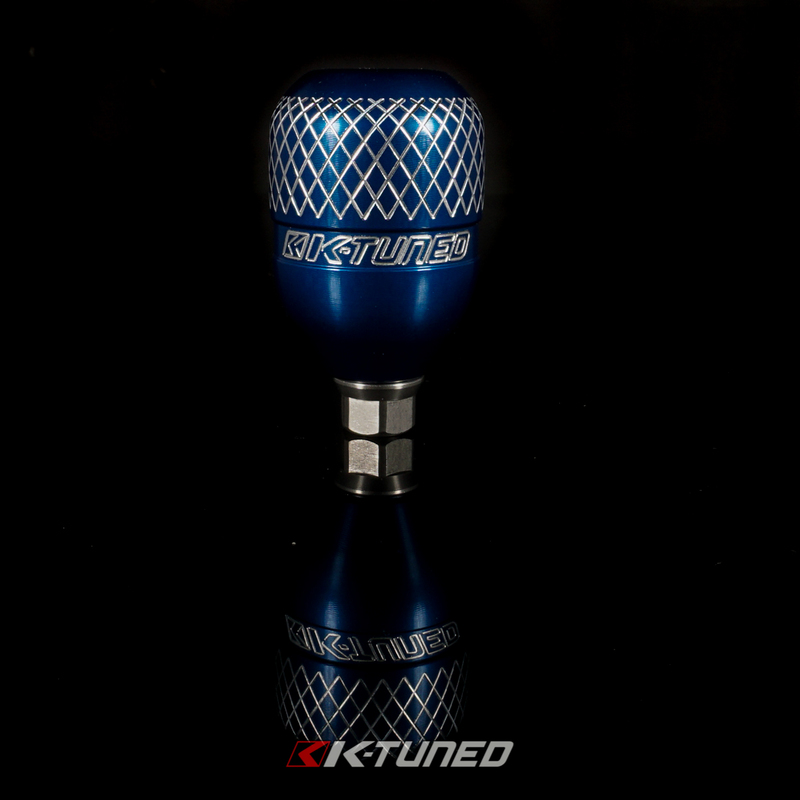 During the final step, each knob is chucked up on a 4-Axis CNC mill to precision cut in the unique grid pattern that was designed to improve shifter grip. This final step is so critical that we actually have a 5% scrap rate. On cable shifter setup we found that a weighted knob can cause shifting problems for some drivers because the neutral return spring has to work harder to pull the shifter back to the center. 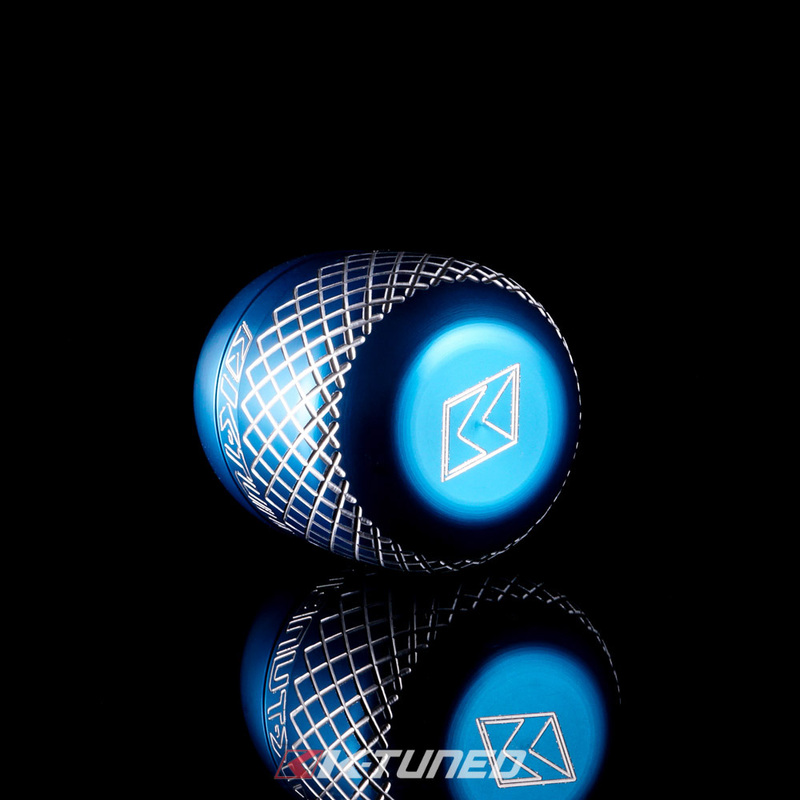 So instead of going to the heavy side we found a good weight (5.5 oz) that is just enough to allow confident and accurate shifting while still keeping enough weight to help the front to back shifts. 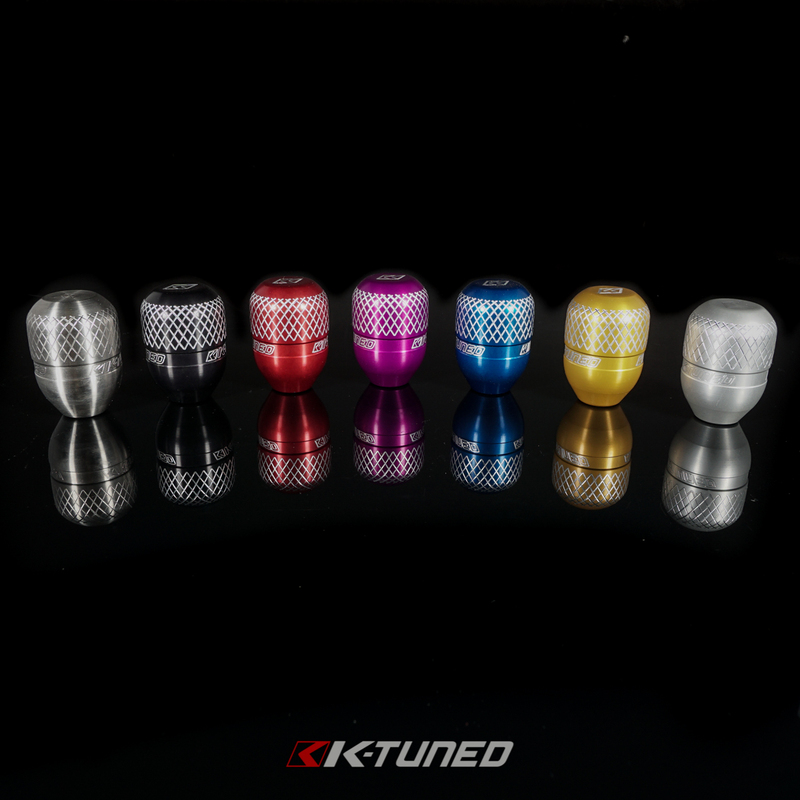 Shift knobs are finished in a variety of colors with our K-Tuned logo on two sides. On top we engraved our signature K logo. A custom made jam nut is included to keep the knob locked in place. 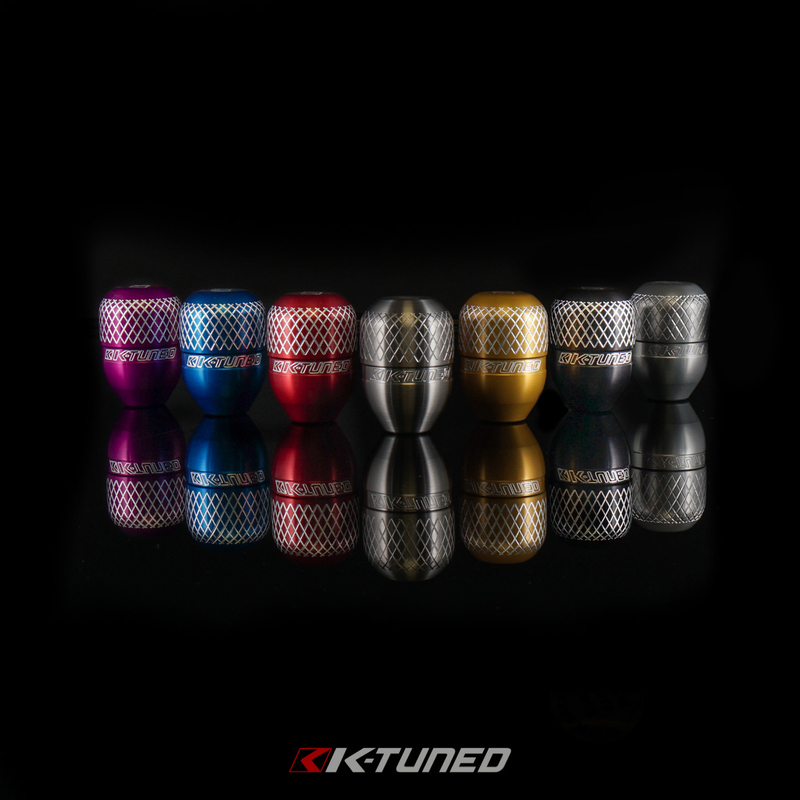 This knob is a great way to finish off any shifter setup. Make sure to choose a color in the drop down menu above.